For all the good that exercise does, these benefits are balanced by muscle breakdown and oxidative stress. During recovery, muscles are rebuilt bigger and stronger with the help of amino acids from protein, and nutrients from a healthy, balanced diet can also counter the potentially damaging effects of free radicals. A study published in the journal Redox Report shows how creatine supplementation can suppress oxidation. 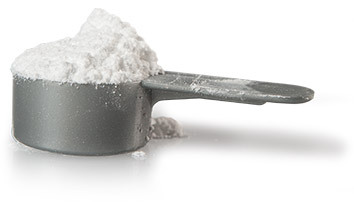 Researchers supplemented the diets of 32 lab rats with creatine monohydrate. Another 32 consumed their regular diet. All of the rodents performed weighted vertical jumps in water as their anaerobic exercise. Creatine supplementation inhibited the increase in blood markers of oxidation. True Strength Moment: Regulars in the weight room typically supplement with creatine to help increase muscle size, strength and power. Whether this popular sports nutrition product’s antioxidant qualities carry over to humans is unknown.